A new development located near the intersection of 285 and 75 in Atlanta, Georgia, The Encore is accessible to everything, including the new Braves stadium. This area at the tip of Atlanta is just inside the perimeter, giving it the lure of in-town conveniences, yet it’s also a stone’s throw from Chattahoochee River nature trails and a good head start to Lake Lanier and the north Georgia mountains. 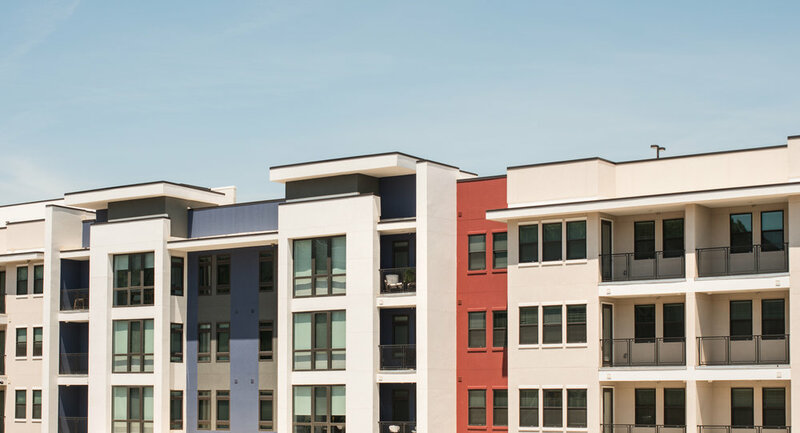 We knew this apartment building had to live up to the buzz of the new stadium and welcome people from all walks of life: from your sports fans to your shopaholics to your outdoorsy adventurers. 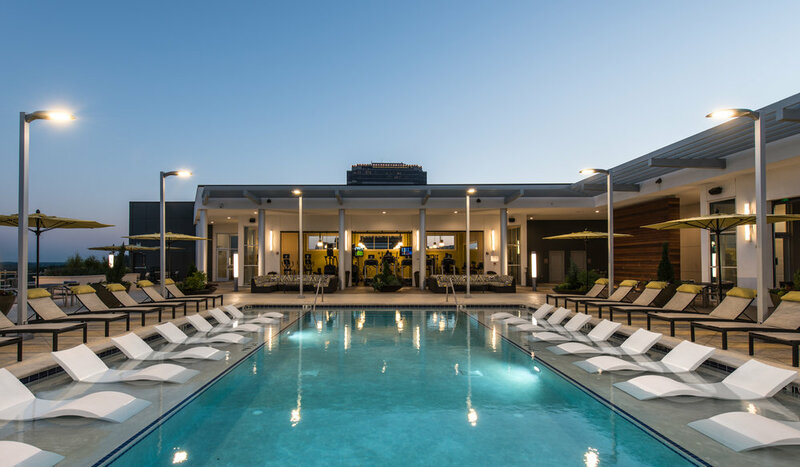 The one thing they can all agree on: high-end, walkable in-town living with an impeccable rooftop view. 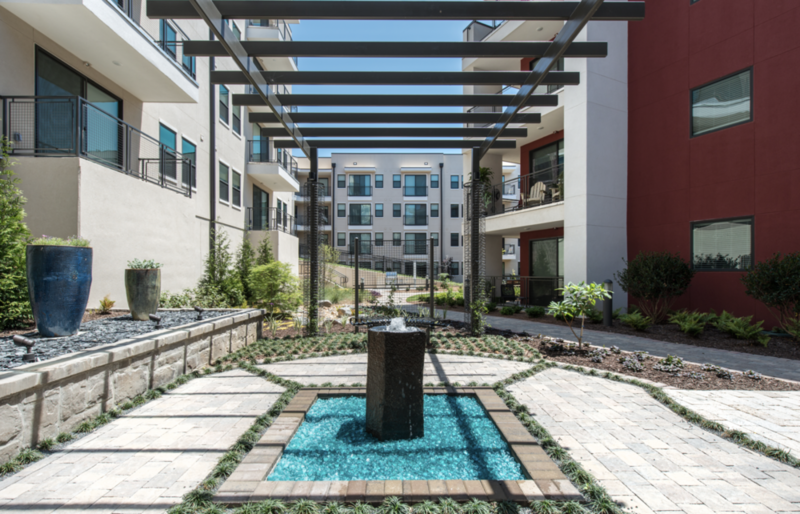 To fit the diverse audience, we designed 327 rental apartment units and two three-story buildings with 12 townhomes. Beyond offering a nice mix of unit types that range in style, floorplan and price, we also had to think big when it came to amenities. 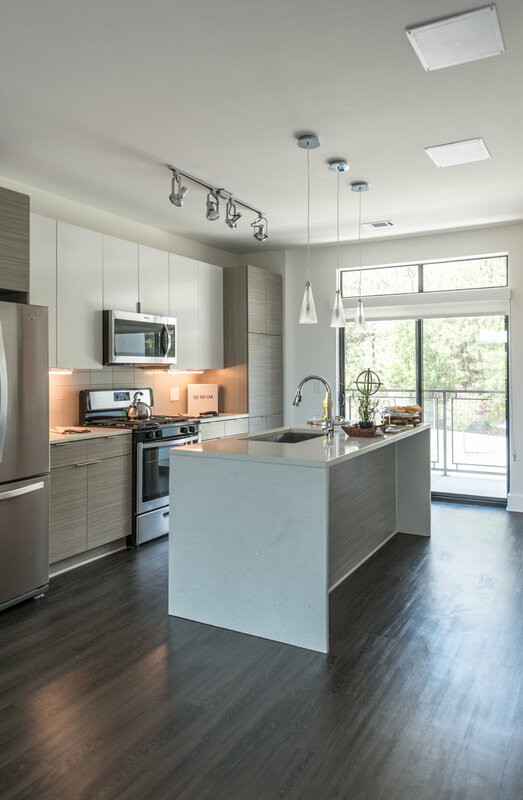 In the state-of-the-art demonstration kitchen on the first floor, residents can take cooking classes or use this space for entertaining. 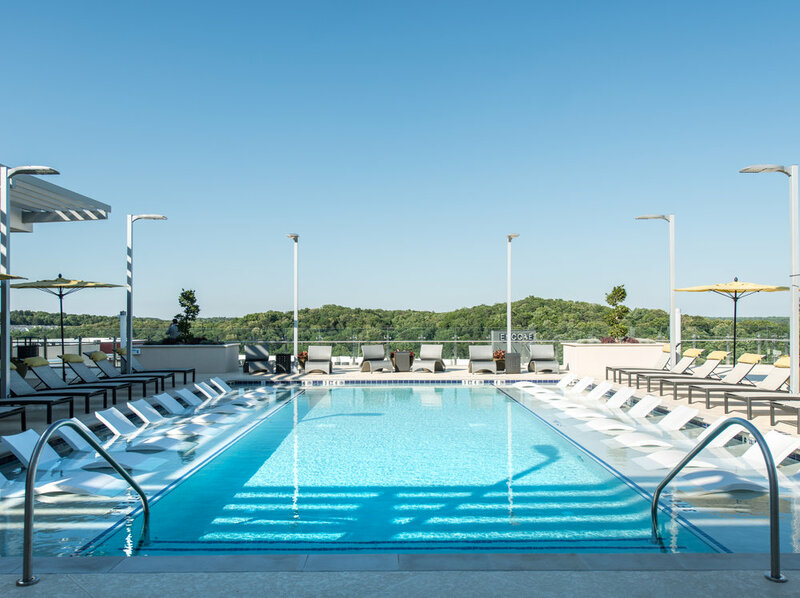 There’s also a luxurious rooftop terrace with a lap pool, fitness center, clubhouse, grilling stations and stunning views of the city. And, to top it all off, we added a 9-hole putting course right on the property as well as a dog park and pet care center. The site that The Encore sits on was a difficult piece of land—from the 60 feet change in elevations to the existing buildings and infrastructure that we had to work around. The building itself had many design challenges due to the complexities of some of the unique features of the community, like the rooftop terrace and the commercial kitchen. 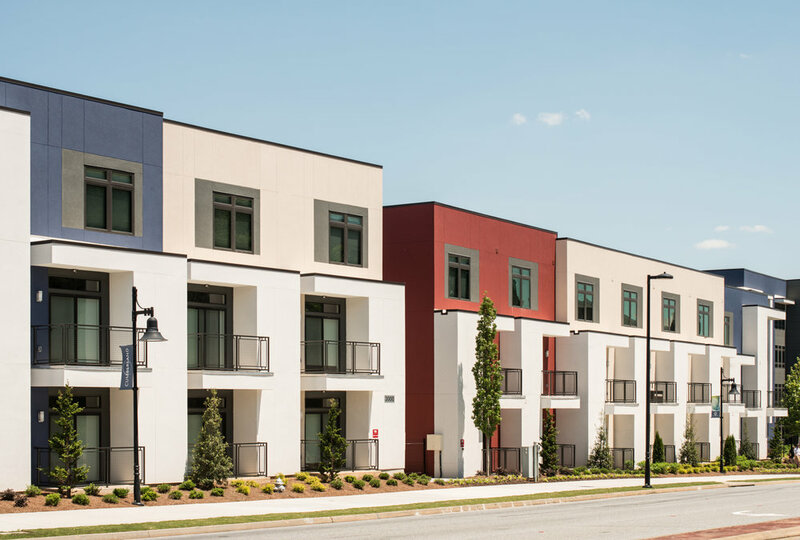 In order to deliver a prime apartment community on a tricky site, we had to be clever with design solutions—from the planning phase all the way through construction.